« Do you know when, and how, to quit? End of the year is when most organizations start thinking about salary increases, and with that about performance appraisals. You read it righ t, they think mostly about salary increases and then believe they need to differentiate between good and weak performers and then start doing performance appraisals. It is the world upside down. You should be continuously be working on improving performance, rather than appraising performance, and work on retention of the good performers. Performance and retention should be the focus, not salary increases. If you can retain your best and brightest by having a more generous vacation policy, go for it. The value of a salary increase as motivational tool is very limited and seems to last about three months. Work on having meaningful conversations with your staff, get to know them and their work. A great incentive to stay is having a boss who knows you, appreciates and understands your work, coaches you when you get stuck and shows you there are more ways to go in this company when the time is right. You will feel this every day and your productivity and effectiveness will increase more than after a 3% salary increase. 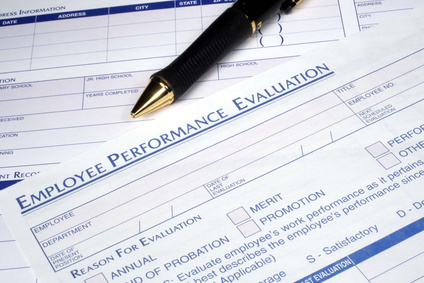 Who owns the performance appraisal process in your company. Please do not tell me it is the Human Resources department. The best person to own the responsibility for continuous performance improvement is YOU, the manager. You are responsible for the meaningful interaction with your employee throughout the year and you are responsible to increase their performance, not by keeping a salary increase from them but by coaching and teaching, facilitating and motivating them. When has the lack of a salary increase ever made someone come to the company happy the next day and increase productivity? Had I already declared my bias for Herzberg, who understood this well and made a difference between motivators and hygiene factors of the job. Basically the pay and benefits need to be competitive or your staff will start walking but you can give them the most expensive pension or medical plan in the world but it won’t really make much difference in their day to day productivity or motivation. The common notion is that satisfaction and dissatisfaction are two opposites. They are not; the opposite of satisfaction is no-satisfaction and the opposite of dissatisfaction is no-dissatisfaction. Performance appraisals have a place in budget planning and forcing you to think through your staff and the current productivity levels but please, take your responsibility in working on performance and retention of your staff by making it a year round process rather than waiting for the obligatory stream of forms from the HR department.